Many patients visit Reflections Medical Spa to find corrective procedures for their skin tone, texture and tightness. Often these result from previous sun exposure, aging, genetic disposition or a combination of conditions. Over time, small imperfections can turn into multi-layered problems such as sunspots, rosacea, spider veins, wrinkles, poikiloderma, and sagging skin. If left untreated, these surface symptoms can affect the visible skin in a more damaging manner or even lead to deeper dermal issues and the need for a targeted multi-layered approach. In order to combat skin issues on multiple levels, our offices offer two dimensional ( 2D) and three dimensional (3D) laser and light based treatments. 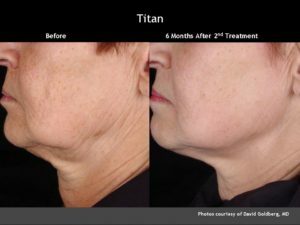 To learn more about your individualized skin rejuvenation recommendations please schedule a consultation by calling 281-922-0772 or fill out our form online. Great place, love the atmosphere and great massage therapy. – Sharon R.